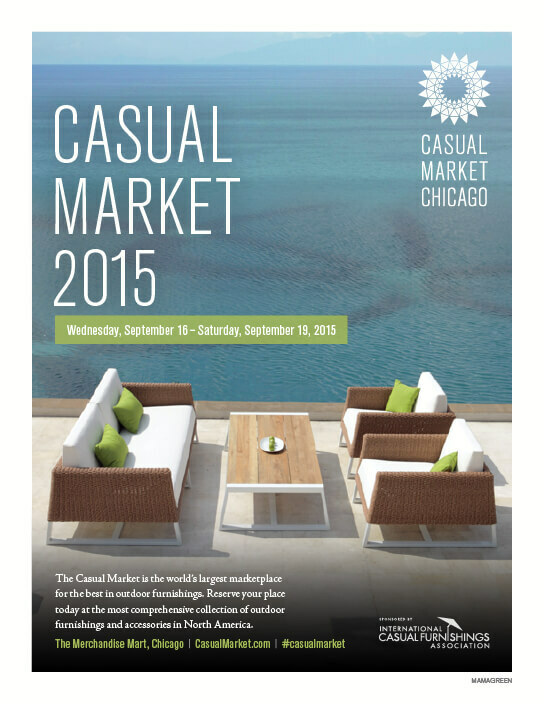 The trade show managers decided it was time to officially rename the event. 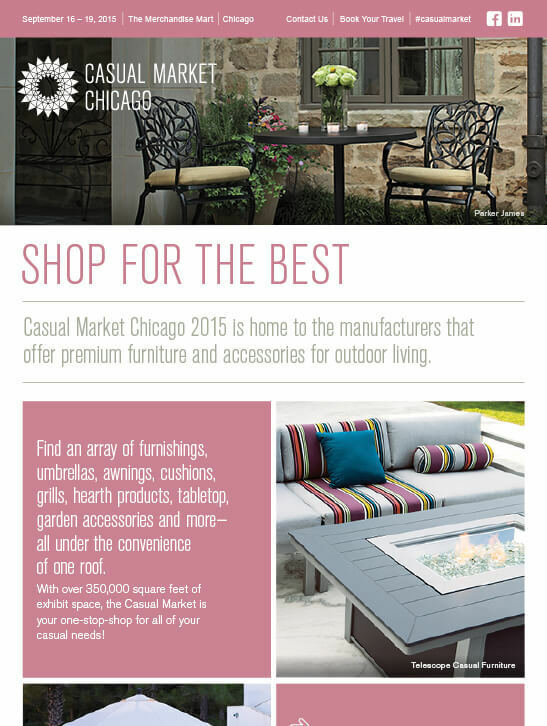 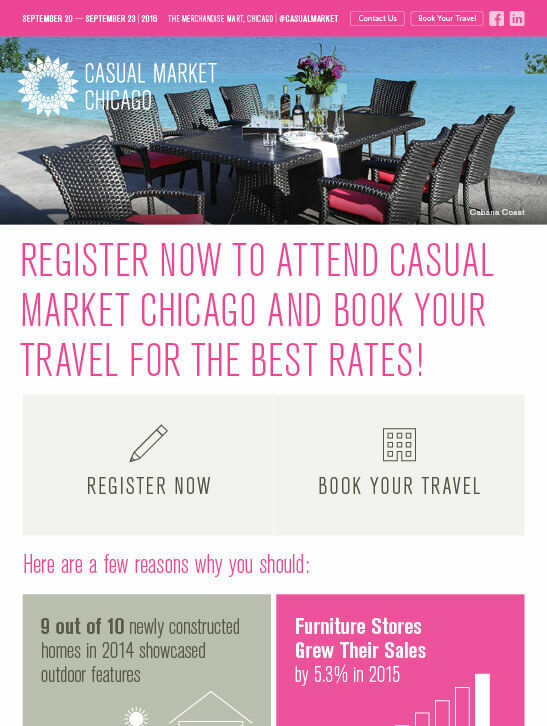 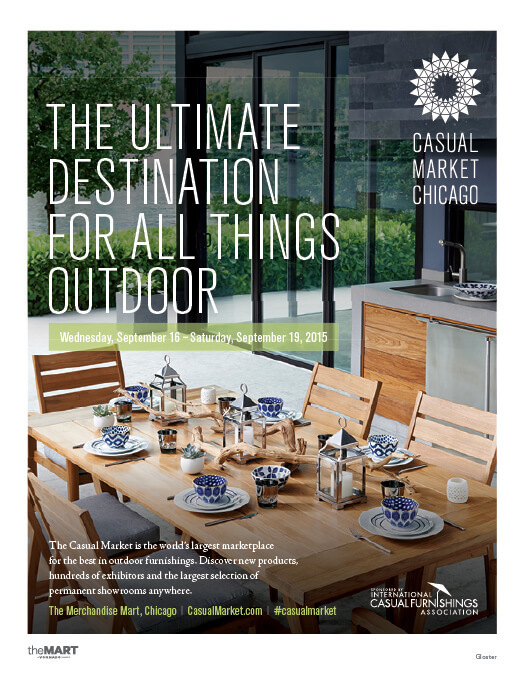 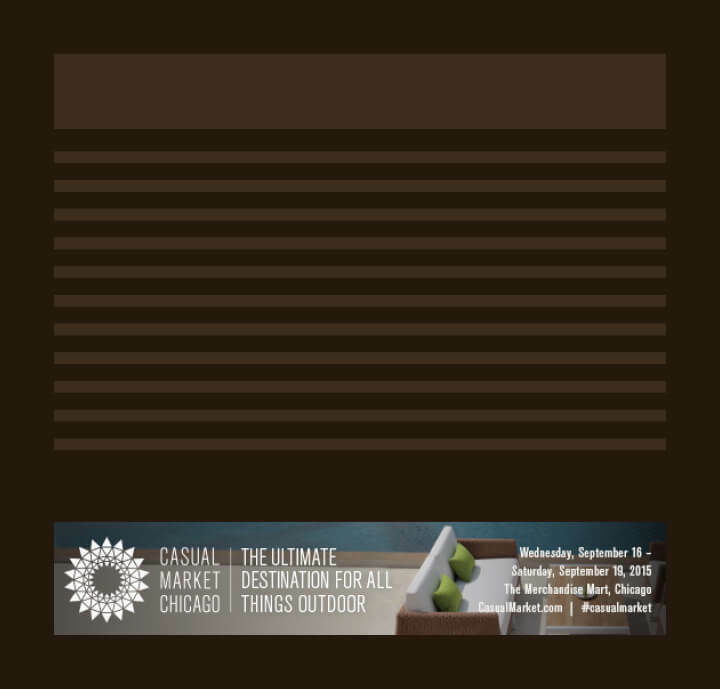 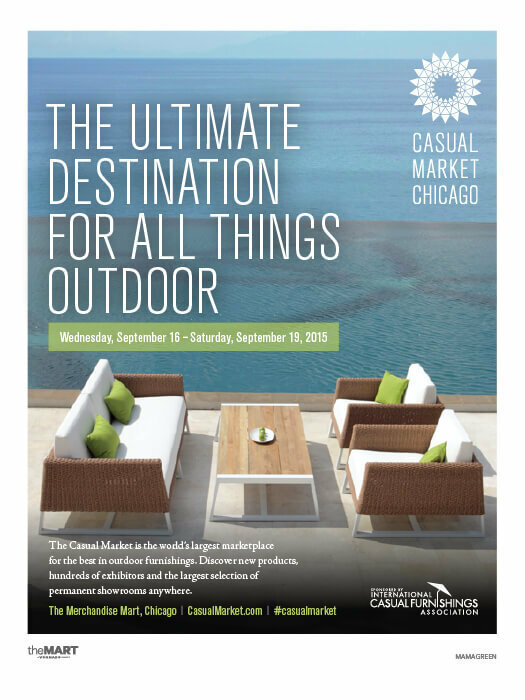 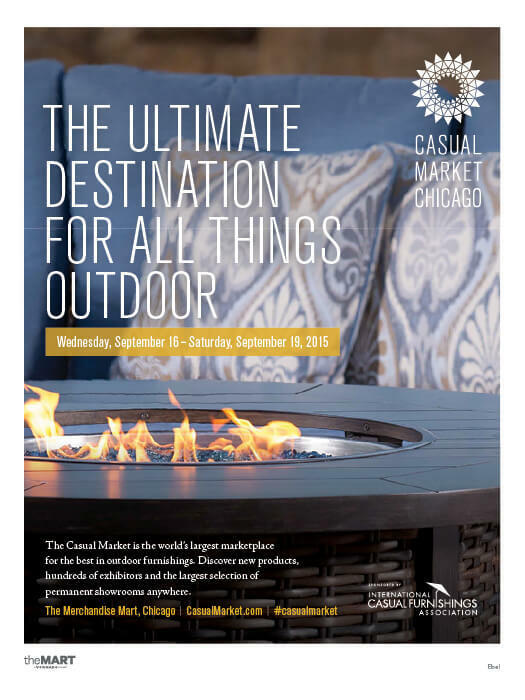 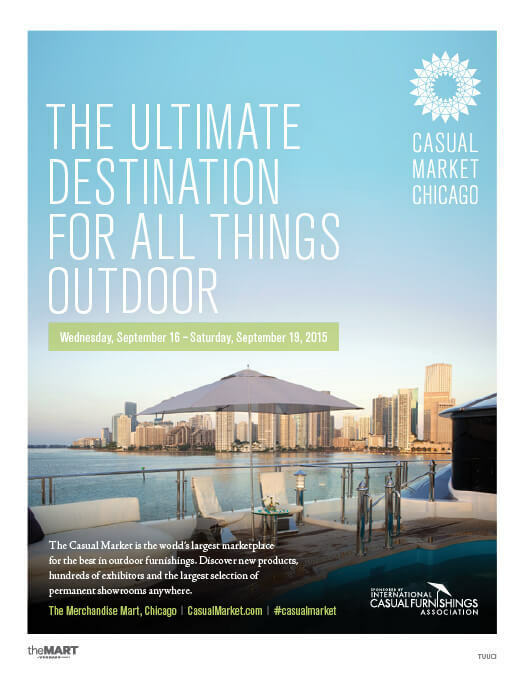 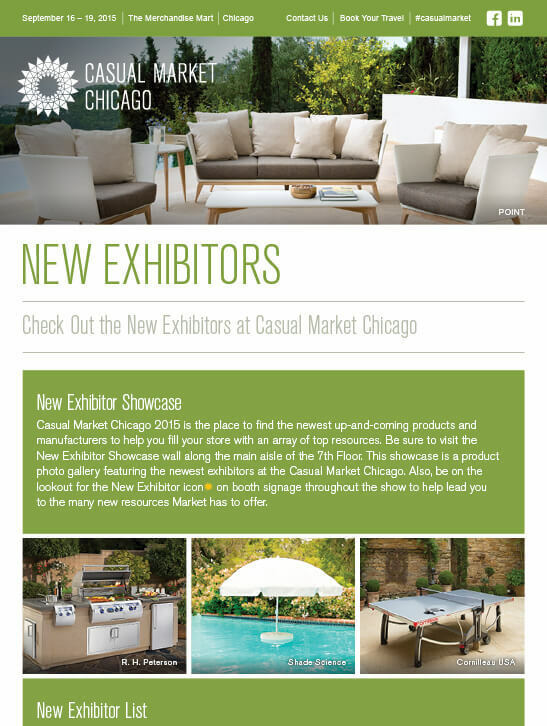 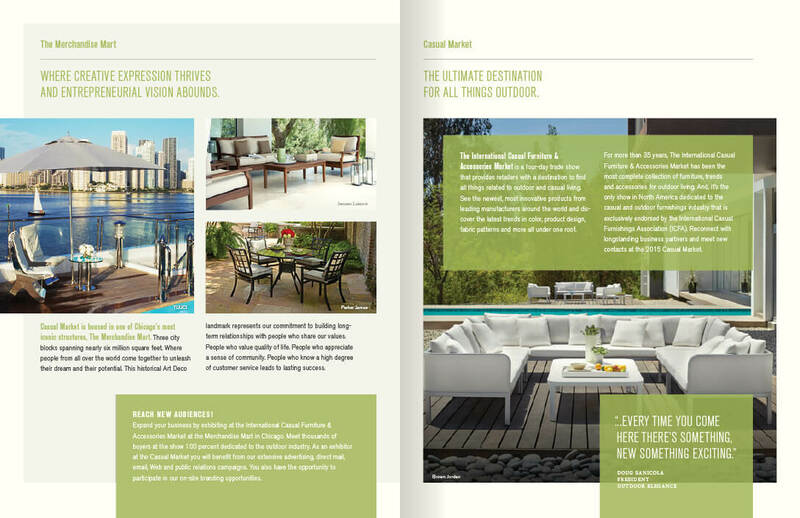 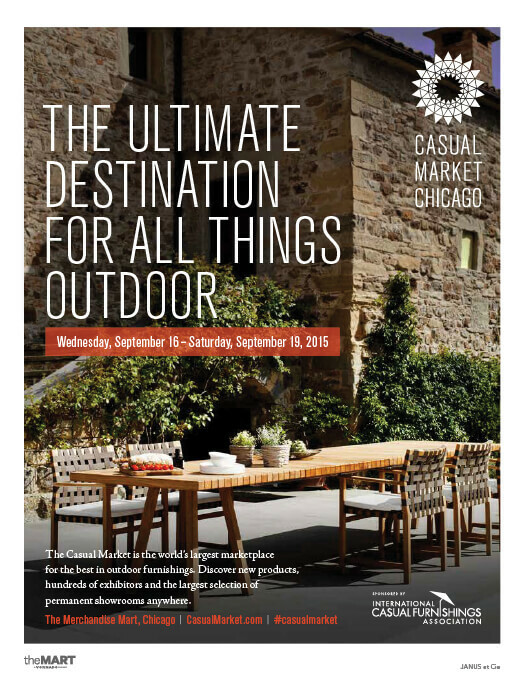 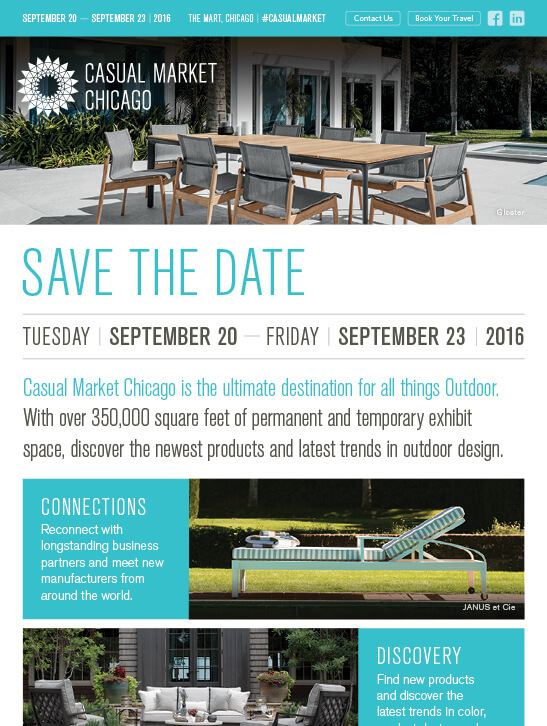 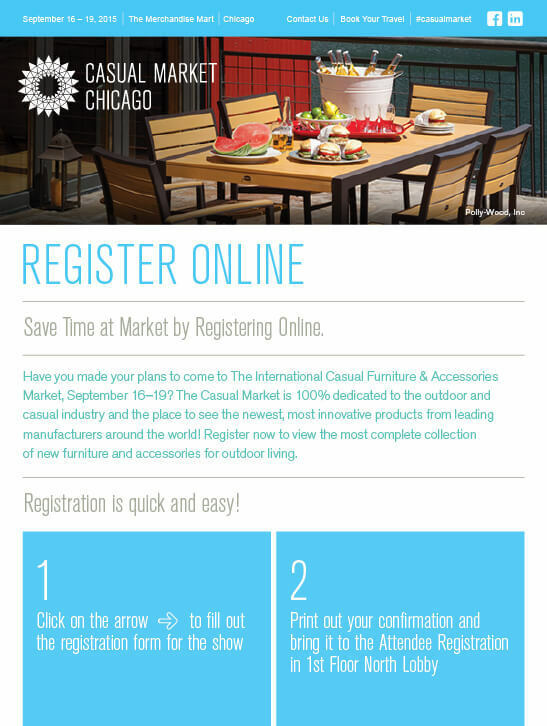 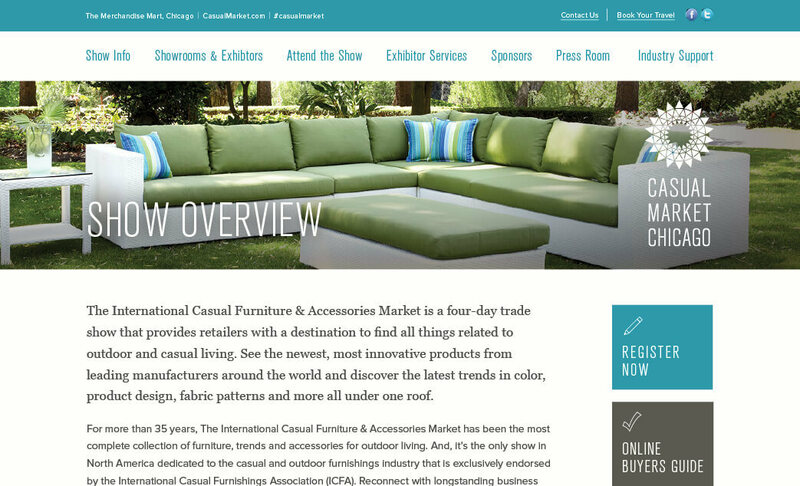 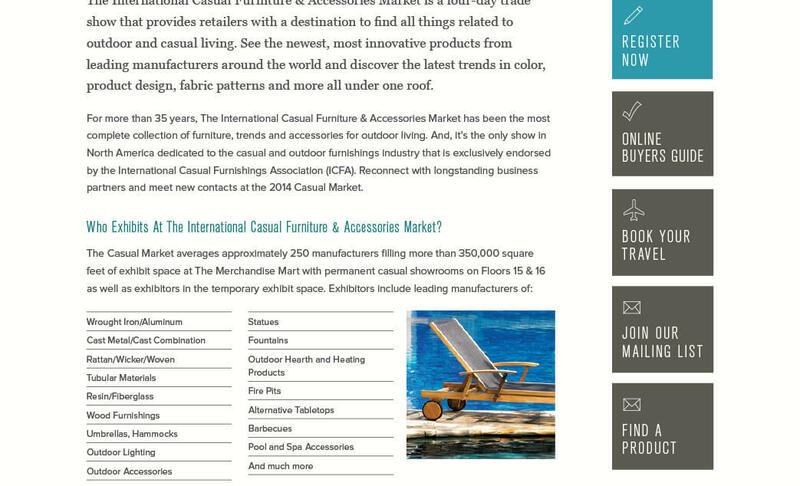 Attendees and manufacturers (as well as the in-house marketing team) all referred to the show as "Casual Market” so it seemed appropriate to officially change the name from the lengthy “The International Casual Furnishings and Accessories Market." 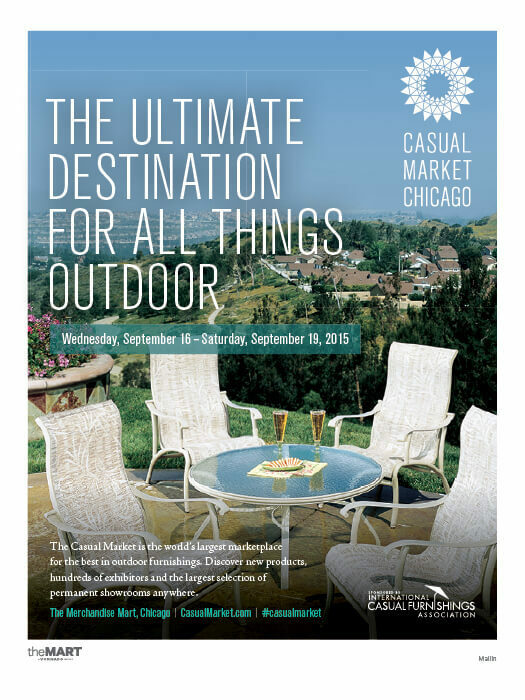 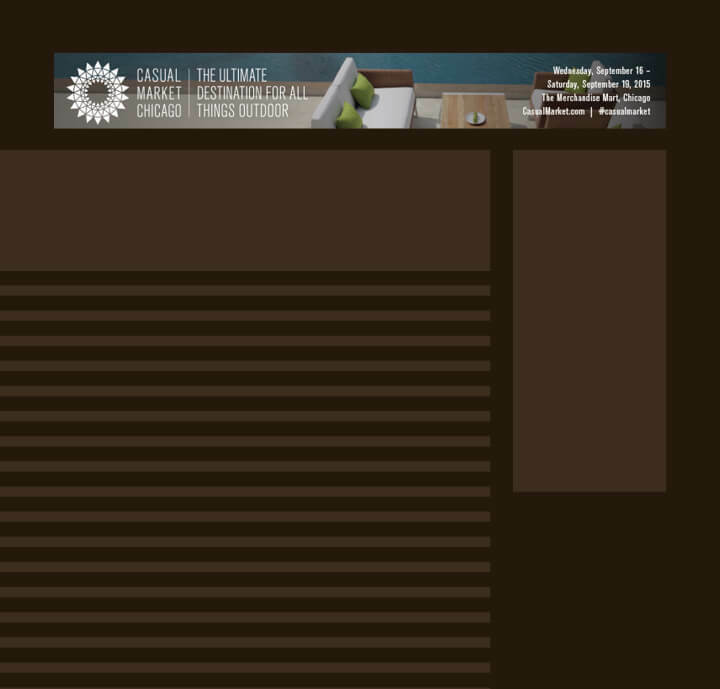 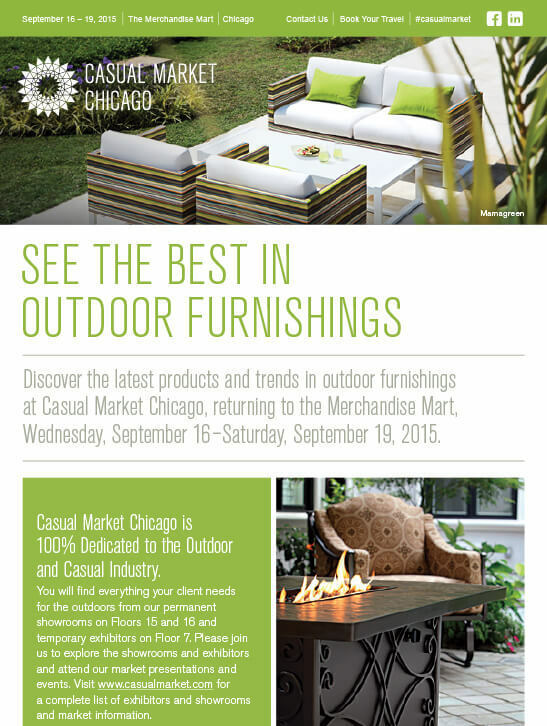 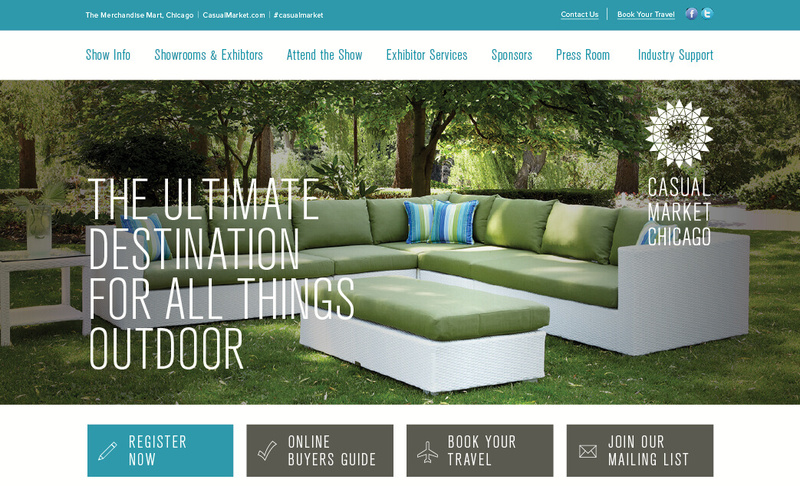 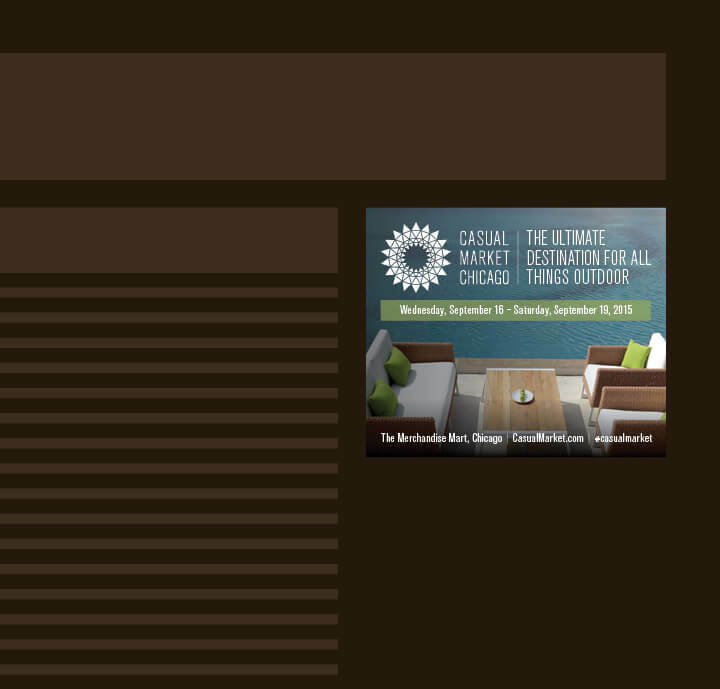 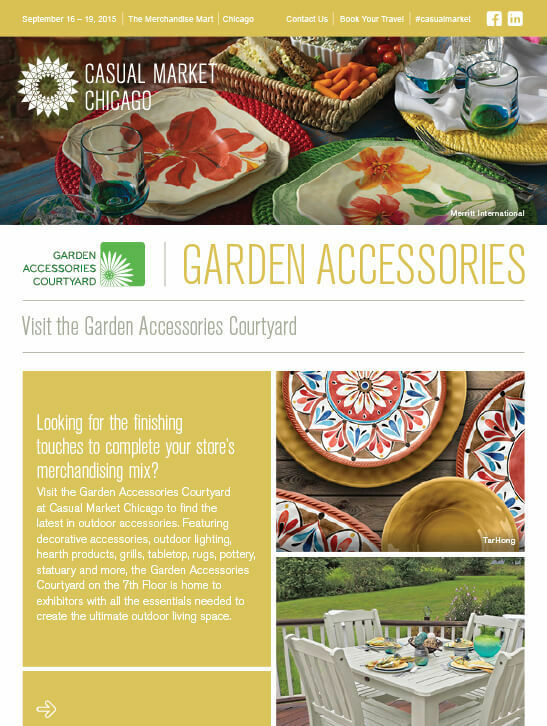 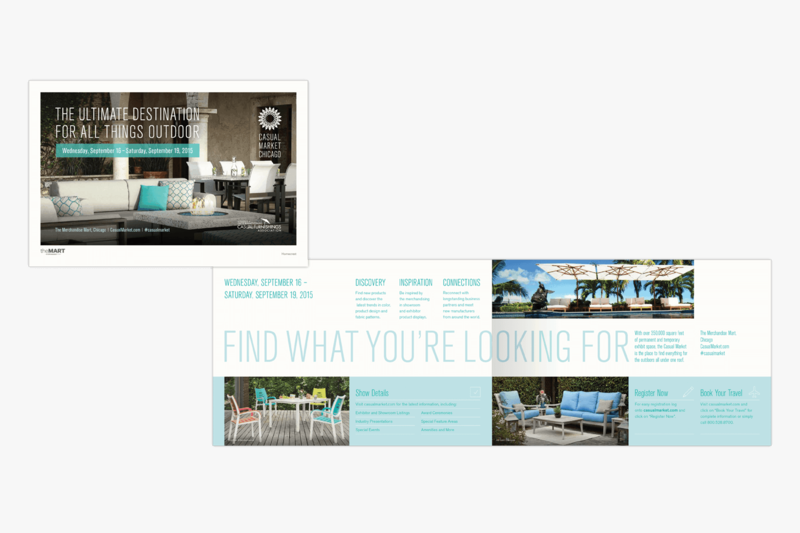 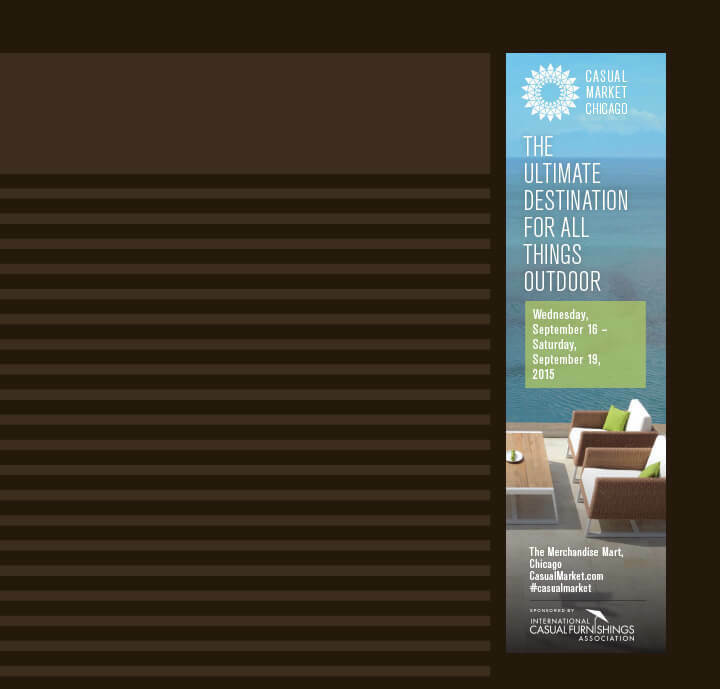 With that, we developed a new logo and brand that the largest outdoor furnishings tradeshow deserved. 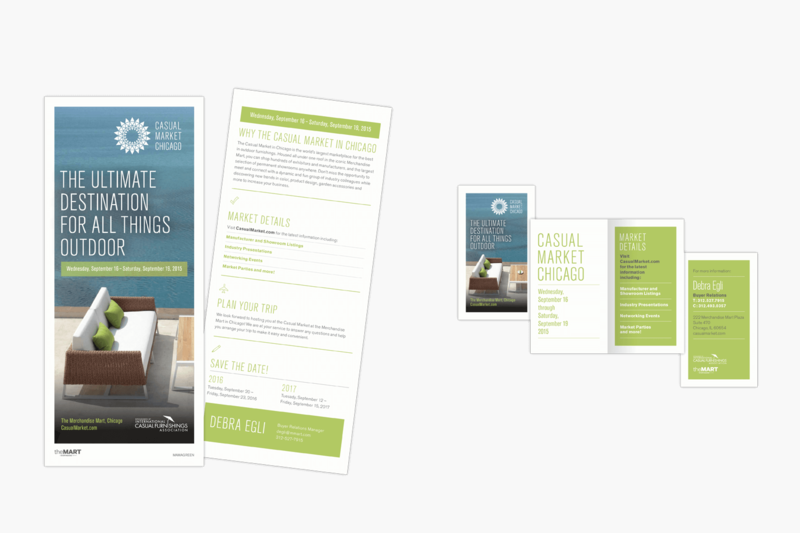 Sales Materials A small flyer and fold-out business card helped the sales team promote the show and encourage manufacturers to exhibit.